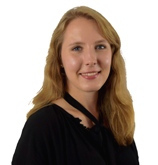 Ms. Rebecka Nygren began her internship at ISDP in August 2016. She is a 4th year student at the Law School at Uppsala University, Sweden. Her specializations are Law of Contract and Company Law. She is currently writing her thesis on gender issues at Japanese workplaces, with a focus on harassment of pregnant female workers and new mothers. Between 2008 and 2010, Ms. Nygren lived in Tokyo, Japan, studying the Japanese language, culture and business manners. From September 2015 to June 2016, Ms. Nygren spent an exchange year at the University of Sussex in Brighton, UK, where she expanded her knowledge on British Law of Contract, Company Law as well as Spanish language studies. At ISDP, Ms. Nygren will be affiliated with the Stockholm Japan Center, and will conduct research on Swedish-Japanese relations, as well as on gender issues in Japan.